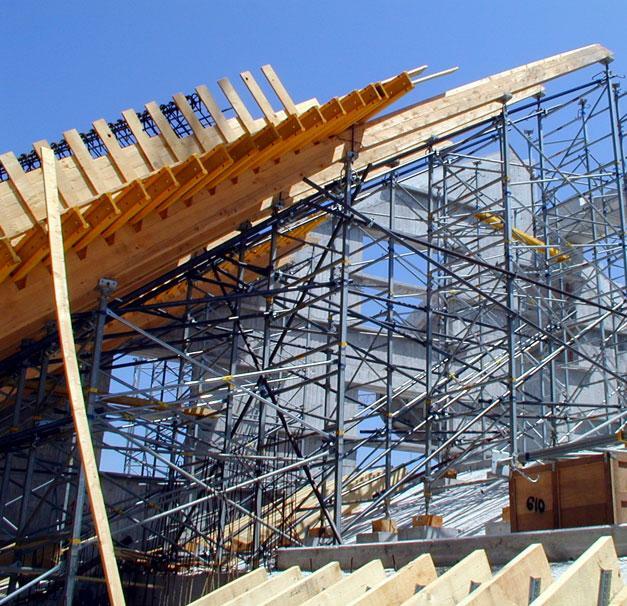 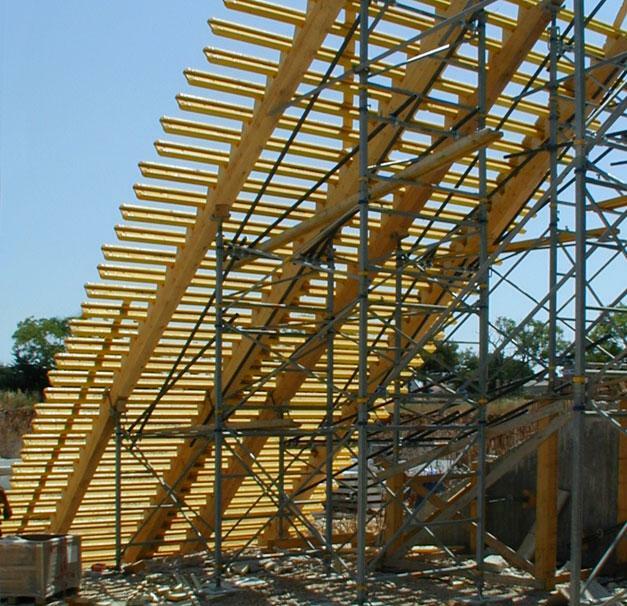 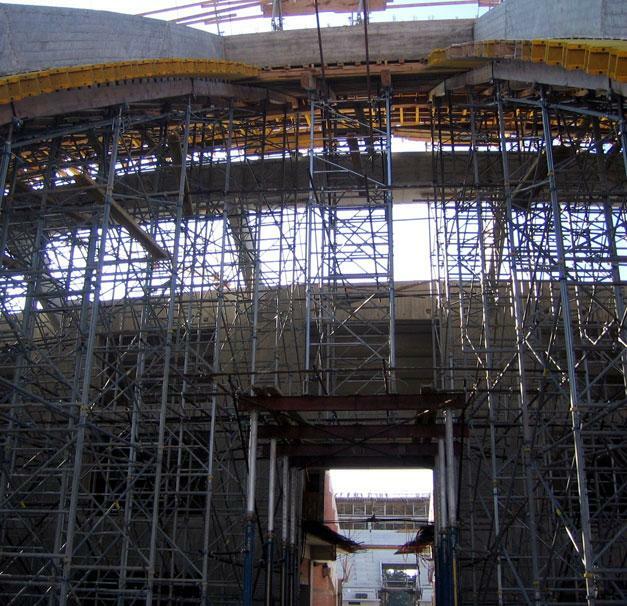 The double-curved structure of this reinforced-concrete dome over the sports hall made construction extremely complex, because every single part of the formwork and scaffold was unique. 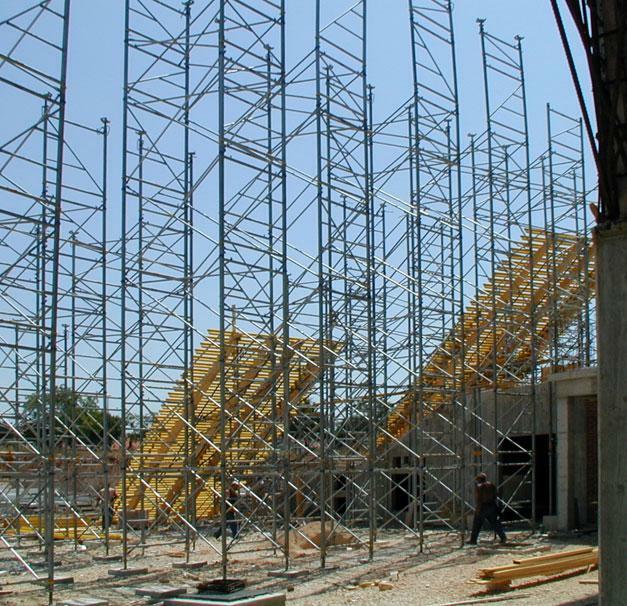 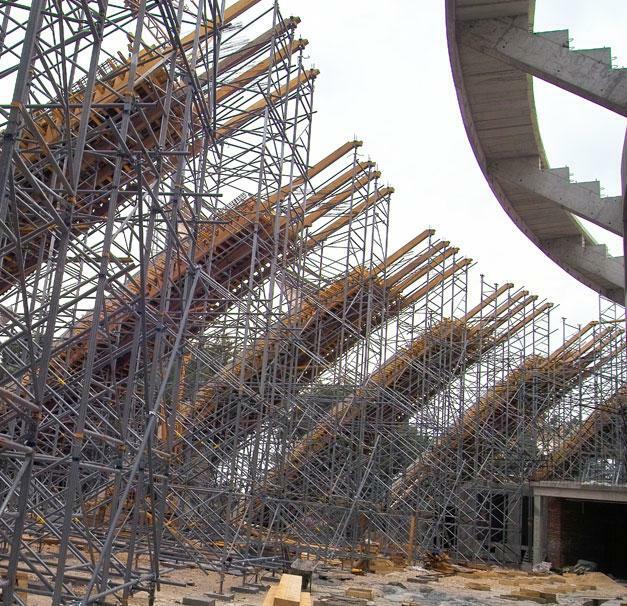 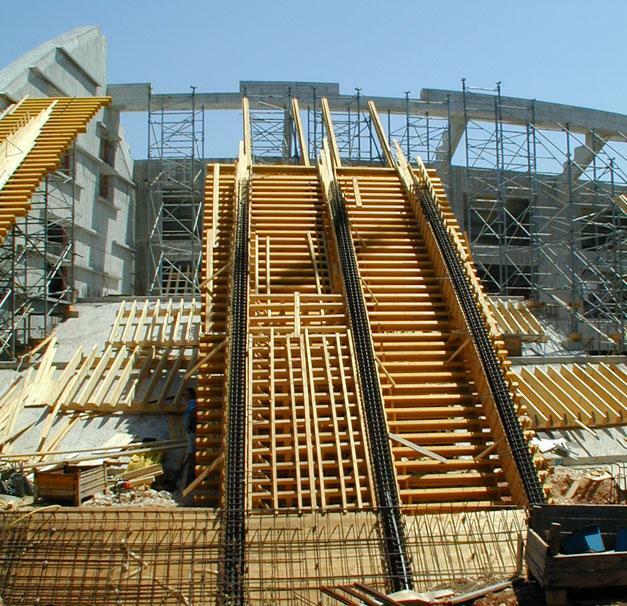 60,000 m³ of Doka load-bearing towers Staxo and 20,000 m² of Large-area formwork Top50 were in use on this monolithic construction, which required the placing of 14,000 m³ of concrete and 1,400 t of reinforcement. 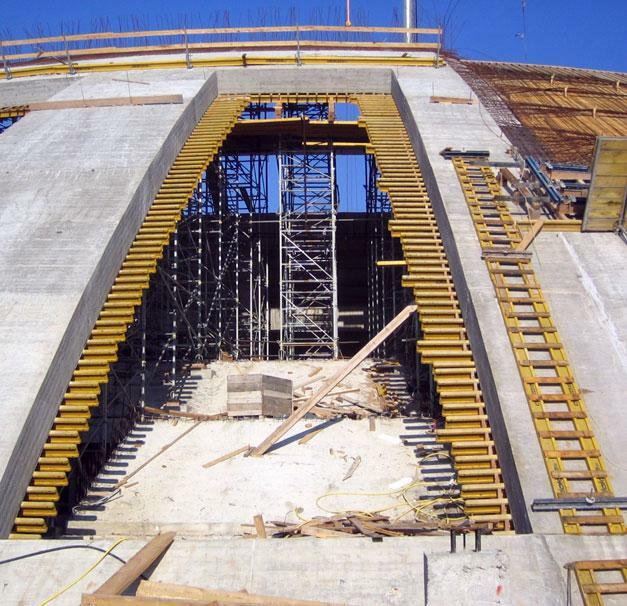 Main contractor: Lavčević inženjering d.o.o. 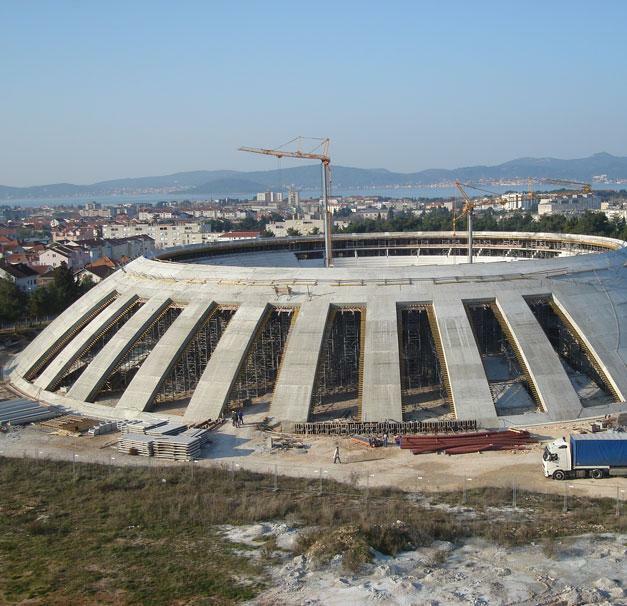 Thank you for your interest - VIŠNJIK Sports Hall in Zadar. 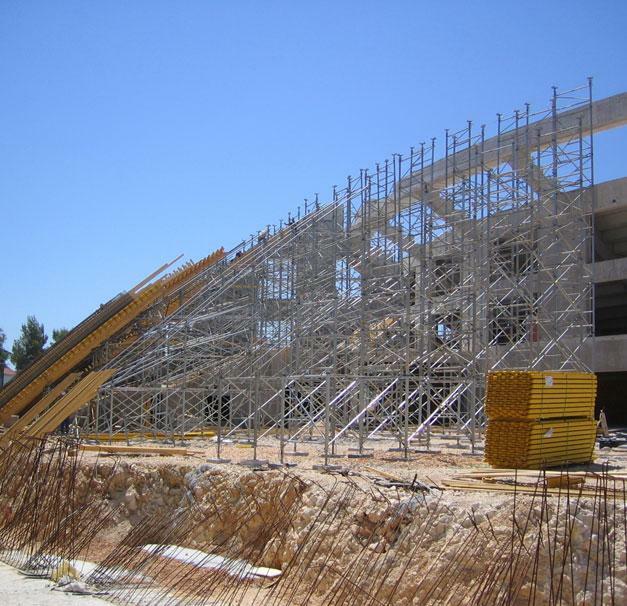 Thank you very much for your interest - VIŠNJIK Sports Hall in Zadar.